One cannot imagine the anguish of an intelligent, hitherto productive adult with opinions of many subjects who is forced to remain silent as discussions take place around him. His dignity is further reduced when obliged to accept as his daily needs what others provide for him, unable to make his basic wants known. For a child, the situation is even worse as speech is a vital element in his development. His IQ is hampered in its maturation due to lack of communication with those around him. Ezer Mizion AAC professionals have done much research and have been on the cutting edge of each new advancement. 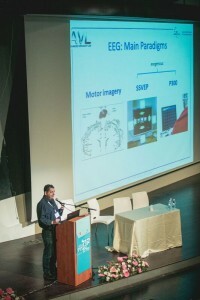 The conference was purported to share this knowledge with conference participants which included speech and language practitioners, OT’s, others in the field of language and communication from schools, speech clinics and medical centers all over Israel in addition to key leadership from Bituach Leumi (Israel’s Health Insurance). World class clinicians and technical developers in the field of augmentative communication sat alongside end-users and their families each gleaning new concepts that will give a voice to those who cannot speak. MK Litzman, Israel’s Minister of Health, addressed the conference expressing the Israel government’s satisfaction in being part of Ezer Mizion’s endeavor to make communication accessible to all members of the population. Conference keynote speaker was Dr. Melanie Fried-Oken, who is a certified speech-language pathologist, a professor of neurology, pediatrics, biomedical engineering and otolaryngology (ENT) and an adjunct professor in the Communication Disorders and Sciences Department at Portland State University. Dr. Oken’s clinical area of focus is augmentative and alternative communication. She has been serving adults with communication disorders since 1979. 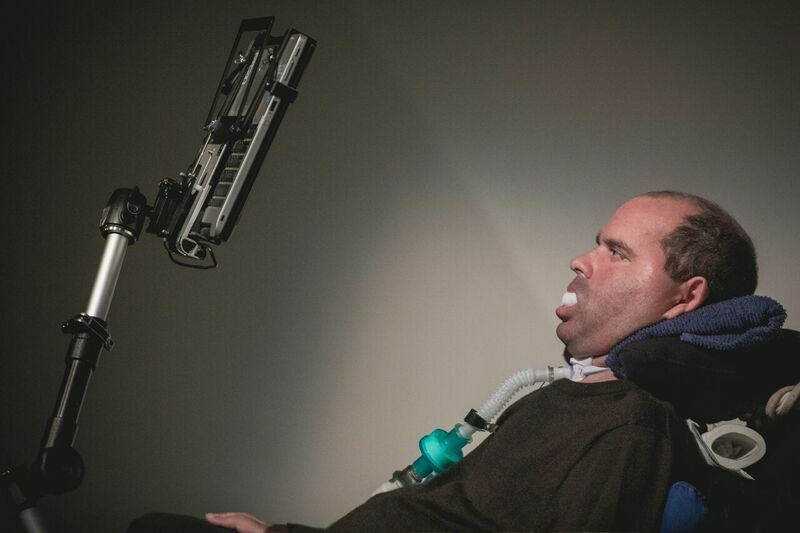 When not in clinic, Dr. Fried-Oken leads an active federally-funded research team that explores technology, new interventions, and patient-centered outcomes for individuals with significant communication impairments and their families. Dr. Oken inspired everyone with her groundbreaking research and innovations in the field of AAC, working closely with hi-tech developers on AAC solutions for people with communication impairments. The conference achieved its goal of raising awareness among AAC professionals regarding innovations in the field and options available for high tech AAC solutions and how to access them. Many of the professionals are committing to the series of lectures that Ezer Mizion will be giving in coming months on AAC related topics which will further enrich the professional world and ultimately people for whom speech and communication is a constant challenge. 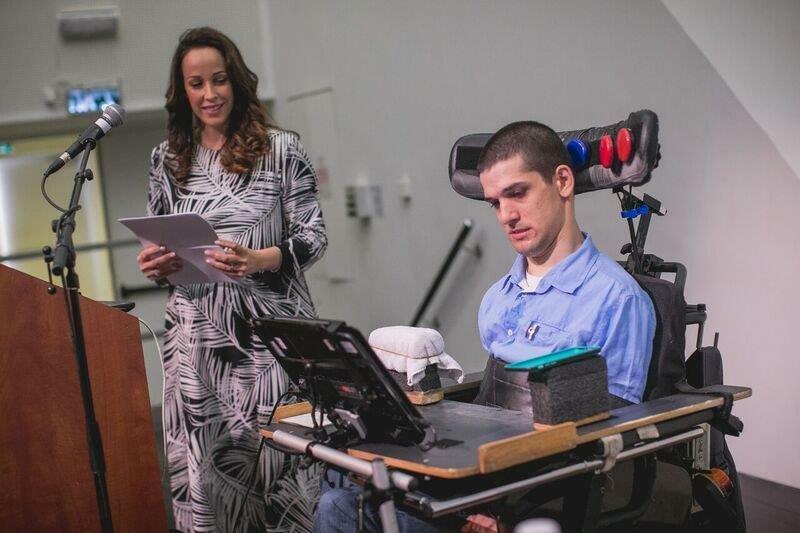 Enable access to hi-tech communication devices to more of the speech impaired!